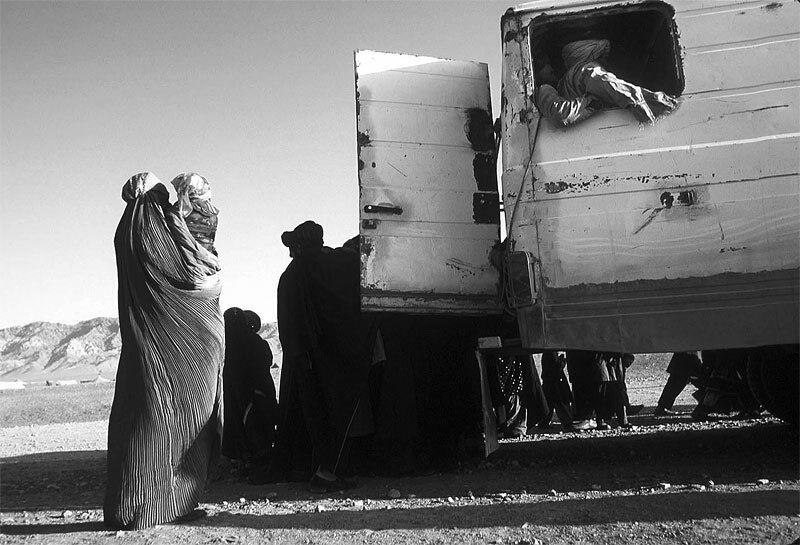 Life under the Taliban: An Afghan woman waits beside a truck carrying refugees from an Internally Displaced People camp outside Herat into the the city March 22, 2001 in Afghanistan. Thousands of Afghans have left their homes and sold their livestock in the countryside and have traveled to Herat and other main cities in Afghanistan in search of food and aid due to the drought. Most farmers have lost entire seasons of crops due to the water shortage, and have been forced to leave farmland for one of several IDP camps set up by the UN and the International aid community.